NEW! The Rockport Rotary Club will continue to meet on Thursdays. BUT . . . The Second Thursday meeting (September 13) is moved to 5:00 - 6:30 pm at Glow Restaurant. Angie Ruddock and Symphonic Financial Advisors will provide the first round of appetizers. 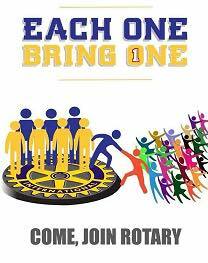 No need to bring anything, but yourself - plus spouse/partner, co-worker, friend, friend of Rotary or someone who want to find out about Rotary. We have also invited members from the Port Aransas, Aransas Pass and Ingleside clubs to join us. We encourage non-members to come to any and all of our meetings to get to know us and our service projects. The Second Thursday meetings will be more informal meetings - Mix, Meet and Mingle - open house style - come and go as your schedule allows. 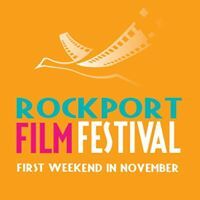 Meeting Place:Aransas County Library, 701 E Mimosa St, Rockport. They ask that you please park to the side of the building off of Pearl Street. New evening Social Meeting. There will be no Thursday Noon meeting. It will be a brown bag, bring your own lunch meeting.